Official Congressional delegations must be approved by the House speaker or the chair of a committee the Representative sits on. Though Rep. Tlaib isn’t on Rep. Engel’s committee, since he sits on Foreign Affairs, his views carry weight with others. Rep. Tlaib knows this. Yo @RepEliotEngel, how are we ever going to obtain peace? I hope youÃ¢ÂÂll come with me on the trip to listen and learn. My sity (grandmother) will welcome you with an embrace & love. Please feel free to call me if you have anything to say. I am your colleague now. Rep. Tlaib is showing an enormous amount of maturity here. 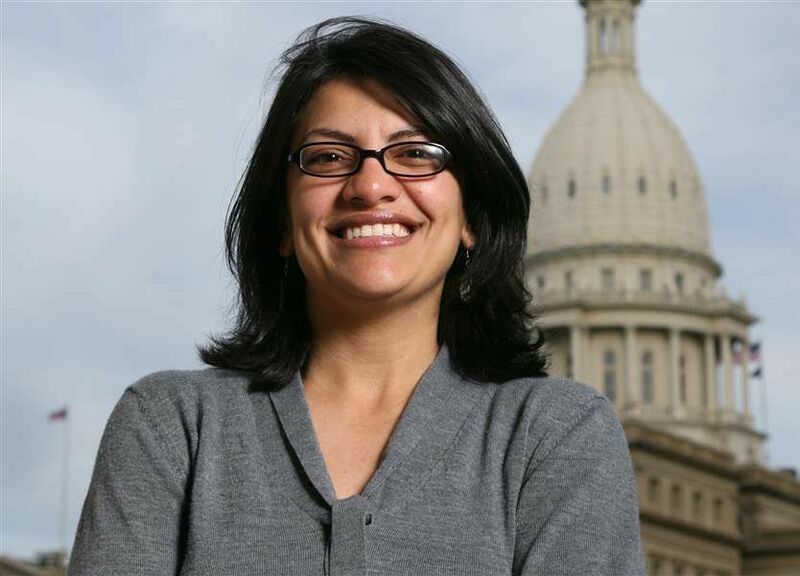 TAKE ACTION: If you’re a constituent, write Rep. Tlaib’s office here to let her know you support her delegation. If you’re not, write your Representative and ask that they accompany Rep. Tlaib. There is no value in powerful US lawmakers receiving one-sided views. Yet, that is exactly what many others in Congress want. Tlaib’s opponents are already appealing to Democratic leadership. Rep. Brian Babin, R-Texas, has sent letters to House Speaker Nancy Pelosi and all committee leaders asking them not to approve Tlaib’s request, Politico reported earlier this month. Not unsurprisingly, the rights of millions of Palestinians do not figure in Babin’s statement. They simply don’t exist, except as a bogey-man “threat”. The fact that the Israeli state visits violence on Palestinians in vast amounts is ignored as well. That ignorance is exactly what Rep. Tlaib’s planned delegation seeks to remedy. Babin went on to say that because Rep. Tlaib referred to President Trump with an expletive a few weeks ago, that makes her unsuitable to lead a diplomatic delegation. If that’s a disqualification, then I’m pretty comfortable saying 98% of American politicians are unsuitable to lead a diplomatic delegation. Even more outrageously, Rep. Lee Zeldin (NY-1) has proposed a resolution to condemn Rep. Tlaib and Rep. Ilhan Omar, accusing them of anti-semitism. The resolution (H. Res. 72) has 22 co-sponsors, all Republican. They claim this is similar to the resolution condemning Steve King’s white supremacy comments. In reality, these Congressmen are fighting a losing battle. Ordinary Americans’ views on Israel/Palestine are changing. A solid majority of Democrats now believe sanctions should be imposed on Israel if settlements in the West Bank continue to expand. And while Democratic leaders publicly defend them, some Democratic colleagues are clearly uneasy. Representative Ted Deutch, Democrat of Florida and a founder of a bipartisan task force to combat anti-Semitism, said some of the lawmakers’ comments “fall into longstanding anti-Semitic tropes.” When Ms. Omar was named to the House Foreign Affairs Committee, its chairman, Representative Eliot Engel of New York, told her privately that he would not allow some of her “particularly hurtful” remarks to be “swept under the rug,” Mr. Engel said. This entry was posted in MRSCP and tagged Boycott, Delegation, Human Rights, Israel Lobby, West Bank by admin. Bookmark the permalink.